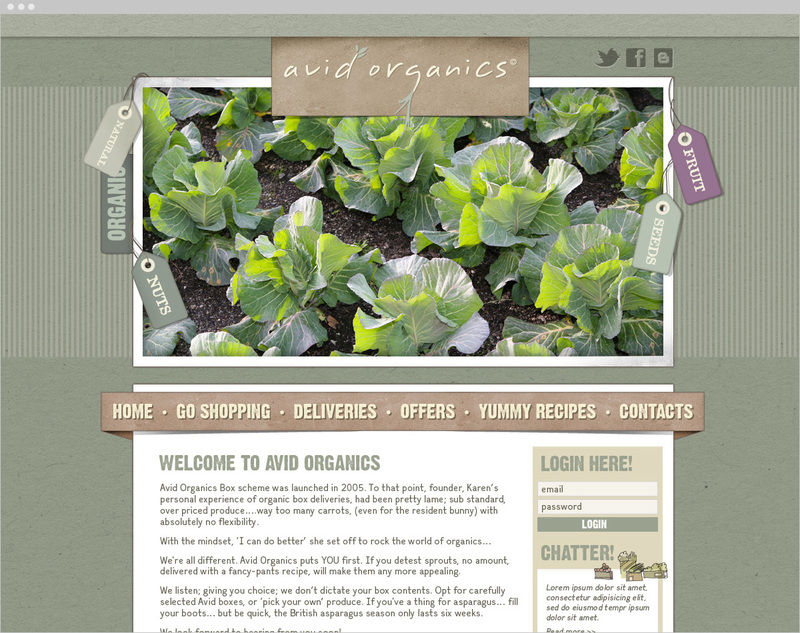 Avid Organics offers a home delivery organic box service and a local Farm Shop. 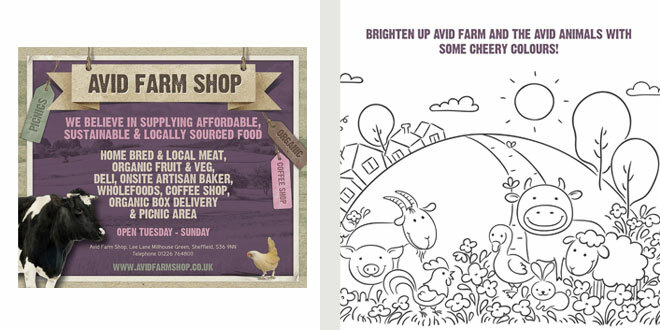 They believe in supplying affordable, sustainable, locally sourced, ethical food. 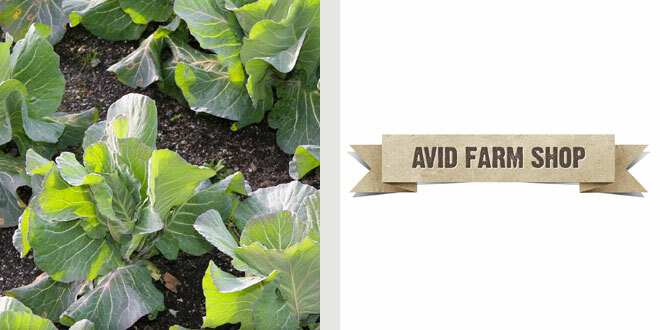 Avid Organics and Farm Shop needed a new brand that could work alongside each other, but also have their own seperate identity. 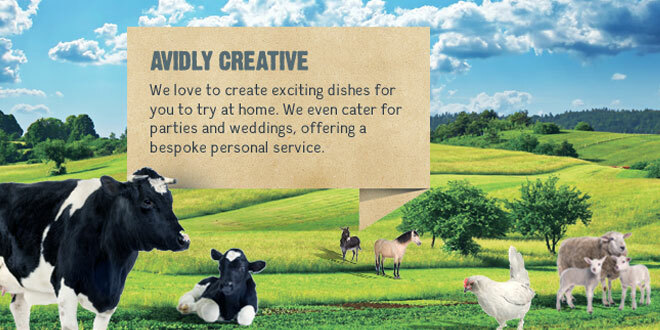 In addition to the brand development, they also needed a comprehensive e-commerce website and a series of email templates that were flexible and easy to use. CODA created a rustic, natural and earthy design that was also clean in style. We started the project with a new corporate identity and colour palette. Once the logo was establish we went on to create a comprehensive e-commerce website with complex ordering facilities and delivery options. 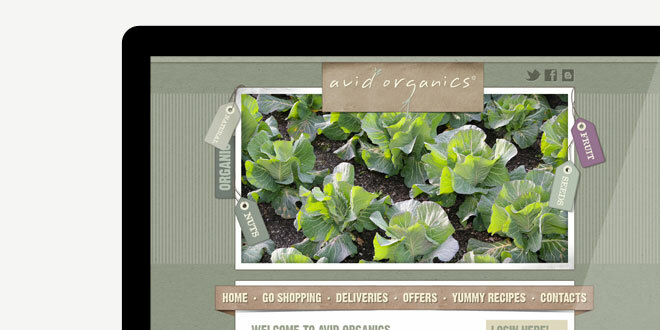 The Avid Organics email campaign then went on to mirror the look and feel of the brand and the website. The email system we developed allowed editing and adding articles for each email campaign and is suitable for mailing to a vast database. This project has proven to be a great success as it allows the client full control over the imagery and content of all future email campaigns. 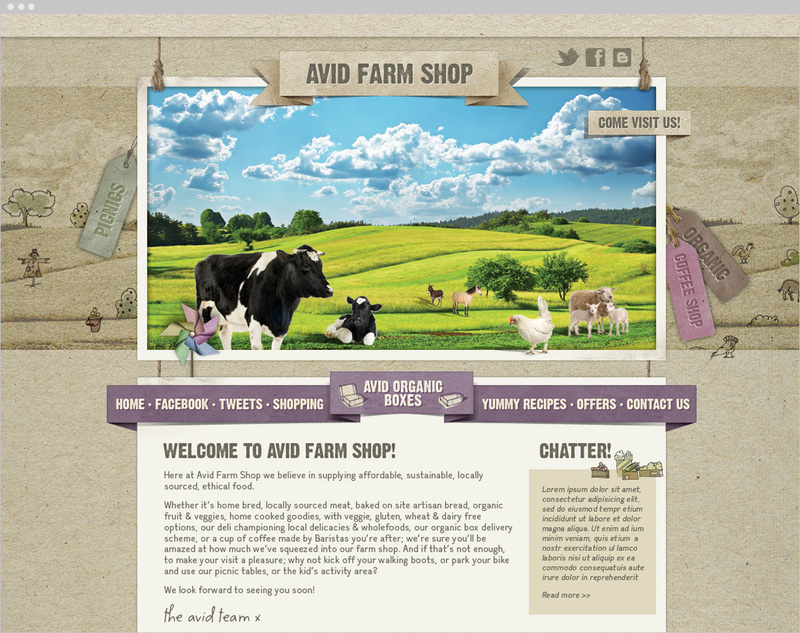 Avid Organics find this to be a fantastic way of keeping in touch with their existing customers and also helps them to gain new customers.